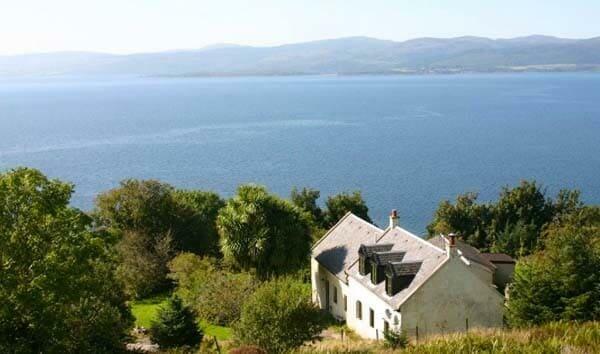 This is a totally idyllic self-catering house on the Island of Arran (quickly accessed from the mainland!) 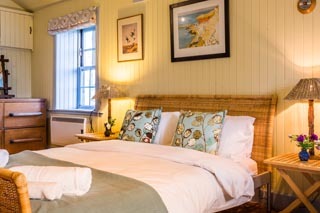 - ideal for two or three families holidaying together or those looking for large group accommodation. 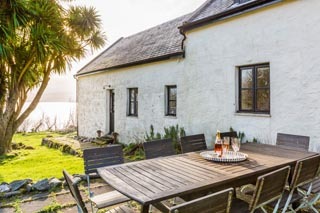 Often referred to as 'Scotland in Miniature', the Isle of Arran captures many aspects of the beauty of Scotland as a whole, from towering granite peaks to peaceful sandy bays overlooked by palm trees growing in the warm climate of the Gulf Stream. The wildlife is outstanding, with deer, pheasant and eagle readily seen in the mountains and colonies of seals at the seashore. There are over 100 species of birds on the island, and there is always a chance of sighting an otter, basking shark, mako shark, porpoise or minke whale. Coastal caves, trails and pathways to mysterious Bronze Age Stone circles can be explored, hills and paths enjoyed by walkers and climbers, and many relaxing angling hours can be spent fishing by streams or by the sea. 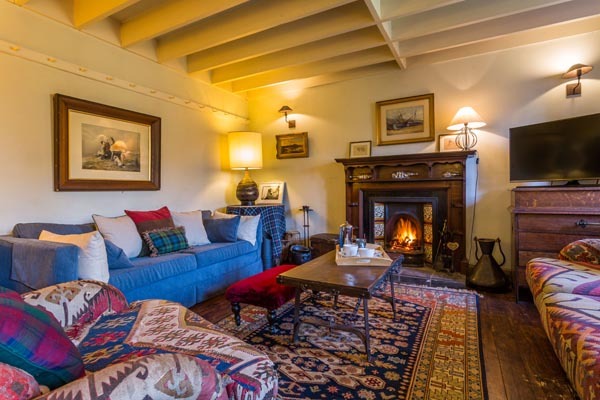 The Isle of Arran has seven challenging golf courses to tempt the golfer, whilst history and heritage is catered for at Brodick Castle and various museums. In the summer there is the chance to go aboard the last paddle steamer on The Clyde which makes a weekly visit to Arran and the Holy Isle. For the more adventurous and active, there are round the island tours by boat on a high speed rib as well as quad bike trails, climbing, archery, pony trekking and helicopter rides. 1 bunk room (3 bunks) and 1 small single. Glasgow Airport 40 minutes from Ardrossan. 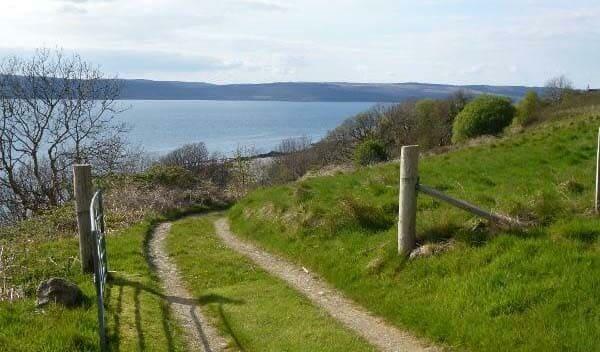 Banlicken is an outstanding location on the side of a heathery hill on the west coast of Arran and with fabulous views across the sea to Kintyre. The house successfully combines being in a wild and remote location whilst also being comfortable and contemporary. 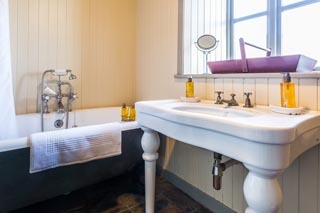 The renovation of the farmhouse and byre has sympathetically turned a Scottish croft into an extraordinary and peaceful haven. As you drive up the farm track to the house with every gate you go through you leave behind the outside world. 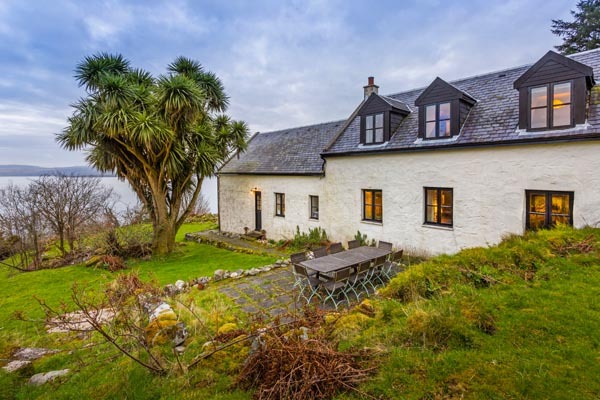 The surrounding countryside is teeming with wildlife, and an easy climb up the hill will reward you with some breathtaking scenery, where you can see eagles and numerous species of birds or just sit and watch the sun setting over the sea. 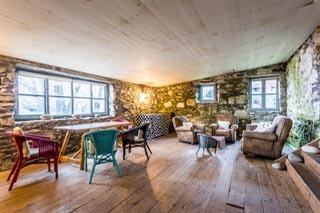 Banlicken farmhouse and the separate byre were once part of a small clachan (farming community) with the hillside surrounding it once housing up to 60 people. 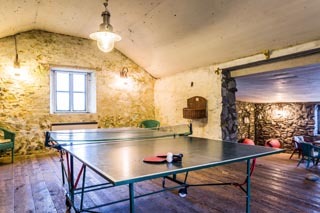 There are now just the ruined remains of Upper Banlicken and Lower Banlicken is the farmhouse and byre and several other buildings in and around the garden including the playbarn which has table tennis and other games. 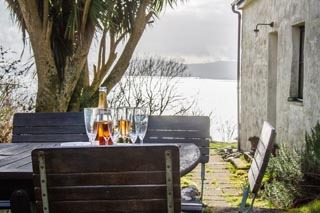 The garden has a stream running through it and from here you can also take the overgrown path down the hill to stroll along the sea shore, explore the rock pools and see the many different sea birds, seals and even sea otters. 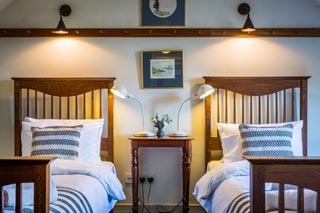 The house and byre are in immaculate condition, decorated with shaker style furniture, kilims and wood panelling painted in colours influenced by the sea and countryside surrounding it. 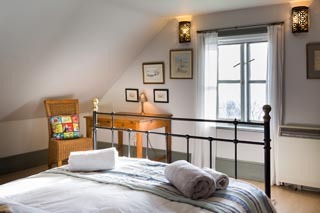 The accommodation consists of 5 lovely bedrooms all with a sea view and 2 bathrooms (with showers over the baths), a large kitchen/dining area and a comfortable and cosy sitting room with an open fire. On arrival at Brodick ferry terminal, turn right and after 1 mile take the B880 towards Blackwaterfoot. After 6 miles turn right towards Pirnmill, and after 2.5 miles veer right at junction and then right onto A841. After 4 miles take dirt track on your right. The 4th gate takes you into Banlicken. Bed linen, towels, heating, logs for fire, games in playbarn. 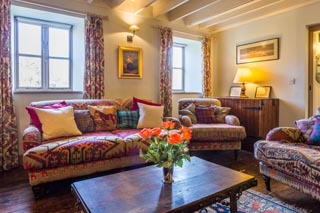 To enquire about this stunning holiday cottage on Arran, click the enquiry button and see rates and availability. Arran is a fantastic place for an island holiday - it's not called 'Scotland in minature' for nothing! 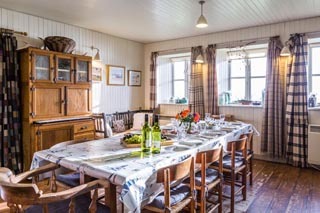 This is a wonderful self-catering house sleeping 12 and is perfect for a large family gathering or different families holidaying together. 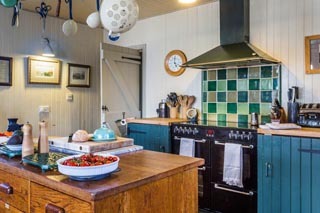 The large farmhouse kitchen is lovely and the whole house is beautifully decorated and is very comfortable indeed.